Eating healthy food is not as difficult as one might think. Just eat “real” food. Real food is food that has not been altered or processed by man. It’s as simple as eating an apple instead of an apple flavored fruit bar. If you want meat and vegetables, just eat the real thing. The good news is, you can get real food at any grocery store with one exception-BREAD! Commercially milled flour is made by sifting the nutrient rich bran and germ portions away from the white flour. Whole grain flour is then made by adding some of the bran and germ back to the white flour according to a legal standard. This whole grain flour is made to man’s standards not God’s. So even bread labeled whole grain is not what you might think. Left whole and intact grains store perfectly with no nutrient loss. However, studies show that as much as 90% of the nutrients can be lost to oxidation in just 3 days after the flour is milled. Therefore, real whole grain flour needs to be ground just before baking. Once the bread is baked the nutritional loss is minimal. 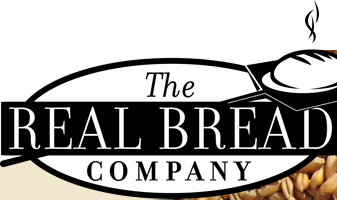 At the Real Bread Company we make our “Real” bread from freshly milled whole grains-the “real” way. Modern Miracle or Natural Disaster? Prior to the 1900s most of the bread baked in this country was done at home? Flour was purchased from the local miller in quantities that could be used before the flour spoiled. By 1910, however, steel rolling mills had replaced the local miller. These mills could sift away the bran and germ parts of the wheat kernel leaving only the white flour. The new white flour would not spoil. But most of the nutrients and all of the fiber are contained in the bran and germ portion being discarded. Since 1910 white flour and white bread has become an American staple and Americans have seen a steady increase in diseases such as heart disease, cancer, diabetes, obesity and numerous health issues directly related to constipation. Government studies now show that a diet rich in whole grains can reduce the risk of these now common diseases. “Whole grain” is now the new buzz word in the food industry. Terms such as “made with whole grain” and “multi-grain” are in fact deceptive marketing. Only real whole grains will bring the desired health improvements. thiamine, riboflavin, niacin, iron, and only recently folic acid. “Real” bread is made from freshly milled whole grains. At The Real Bread Company compromise is not an option. We mill our flour just before using to ensure maximum nutritional value.